Have you seen the spectacular super moon in March 19? If you’ve missed the astronomy event, you might like to hang the silver full moon wall clock on your wall. 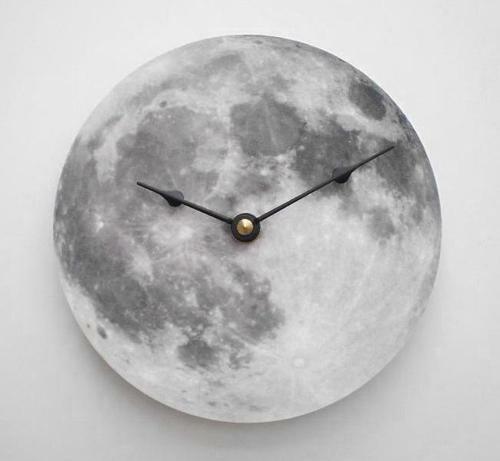 As we can see, this is a moon themed wall clock that measures 6 inches in diameter. The whole watch face is made from hardboard, and features a graphic of full moon. On the back of the wall clock, there is a quartz movement powered by 1 AA battery. 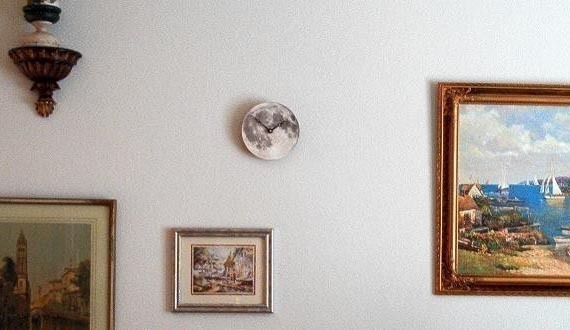 Once you hang the handmade clock on the wall, a mysterious full moon will appear in your room. Hope you aren’t werewolf. The full moon wall clock is available in three colors, including silver, harvest, and blue. Each one is priced at $17 USD. If you’re interested, jump to Etsy for more details. Additionally, if you need more options, you might like to check the domino wall clock and the geek wall clock.